Dieting is toxic to your health. Aside from bikini season, late December and early January is the other time of year that we’re especially susceptible to feeling bad about our bodies. Special thanks to the media and the diet industry for ensuring we do by reminding us that we overindulged during the end-of-year festivities and we must resolve to lose (at least) that holiday weight come the new year. Weight Watchers in the UK is making certain you hear that message loud and clear. On January 1, 2012 almost all the major UK television networks will simultaneously air a three-minute Weight Watchers commercial aka music video worth over US$23 million. In it, Weight Watchers proudly parades 180 clients, mostly women, who have lost a total of 5908 pounds using its trademarked ProPoints program launched just a year ago. What I’d like to see is how many of those slimmed-down success stories will have kept the weight off by New Year’s Day 2016. According to the studies, within four to five years most of them will have regained the weight, and at least 60 to 120 of them will weigh more than their pre-diet weight. Yes, I said diet. Regardless of what Weight Watchers (or SlimFast or Jenny Craig or any other system or product designed to lose weight) calls it, a diet is a diet. And diets don’t work. Sure, if you eat only protein and avoid carbs or measure your portions or adhere to a system of points that limits your caloric intake, yes, you will lose weight… initially. But research clearly shows that any weight lost is sure to creep back within five years. You may have already heard this information but you may have very well just resigned yourself to playing the losing and gaining game. It’s understandable considering how barraged we are with the message that fat will kill you. But the truth is fat can actually protect you against certain diseases including osteoporosis, chronic bronchitis, and some cancers. Furthermore, the evidence strongly supports that continued yo-yo dieting or losing and gaining weight repetitively does real damage to your body, not to mention the mental and emotional self-abuse that dieting demands. The research is clear: weight cycling plays a large role in various ailments, ironically often attributed to obesity: high-blood pressure, congestive heart failure, diabetes, and even premature death. Unfortunately, the studies that attract the most press are those that support weight loss as a means to health; such studies are substantially funded by the pharmaceutical and weight loss industries. And these industries are certainly not lacking in profits; in only two more years, the worldwide weight-loss market is predicted to be worth a staggering US$586.3 billion. It’s time to say “No” to big business making money off our bodies. Enough of believing the propaganda that fat is the enemy. Enough of trusting that the label ‘overweight’ or even ‘obese’ obtained from an unsound BMI chart translates to ill health. As the year comes to a close and you compile your list of New Year’s resolutions, dare to do something different. Dare to listen to your body. 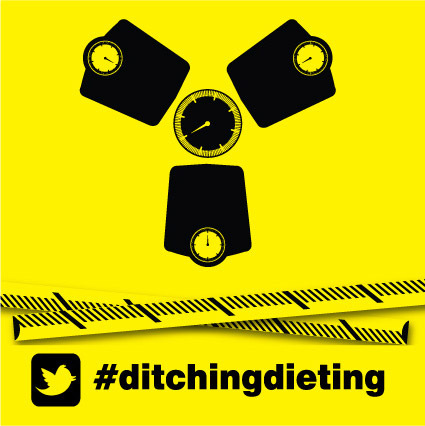 Dare to ditch dieting. And know that you don’t have to do it alone. Across the pond, the Endangered Bodies campaign, launched by the Endangered Species International March 2011 Summit, is in full swing. The Endangered Bodies (EB) team in the UK, led by Susie Orbach, launched its Ditching Dieting campaign last month at UK Feminista’s national conference where they invited attendees to “speak out against the misery caused by the diet industry.” And you can, too. Whether you’re in the UK, the US, Canada, or Europe, consider hosting your own SpeakOut. 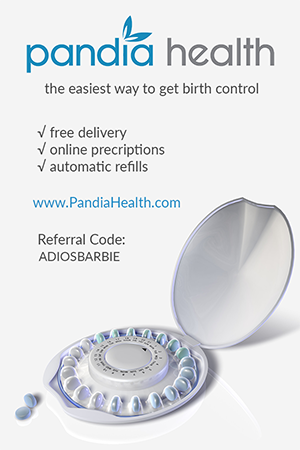 For more information visit www.ditchingdieting.org and write to info@any-body.org to obtain a SpeakOut package. Currently in the UK, a Body Image Inquiry is underway looking into the causes and consequences of body image anxiety. If you’re based in London, take the day off work on January 16, 2012 and join the UK EB team in speaking out against the diet industry at Parliament. Full event details here. Gina Kolata, Rethinking Thin, New York: Picador, 2007, 188. Contrast that with the fact that the obesity “crisis” was primarily borne out of four studies. See Paul Campos’ The Obesity Myth, New York: Penguin Group (USA) Inc., 2004, pages 13-20 for more details. Linda Bacon, Health at Every Size, Dallas: BenBella Books, Inc., 2008, 138-139. Paul Campos, The Obesity Myth, New York: Penguin Group (USA) Inc., 2004, 32-33. Special thanks to Sue Thomason’s Anti-Diet blog for uncovering this article. Also known as the Any-Body team. I have (inadvertently) practised intuitive eating for about 12 years now, and in that time my weight has settled around a set point which I vary around by about 3lbs either side of and has stayed the same for 9 years. This set point weight is lower than the weight I was at at the end of my last diet, but is still within the “obese” BMI category. I eat when I’m hungry and don’t eat when I’m not. I eat what I feel like eating and amazingly this is rarely cream cakes and crisps! The fear that diets instill in us that we can’t possibly eat what’s good for us unless we follow a low calorie/low fat/GI/low carb etc regime is something that this campaign needs to tackle as one’s body does tell you that it’s hungry for certain things, and sometimes it will tell you that actually, you don’t feel like eating dinner today so you have a piece of toast instead. I have learned to live with the body that life appears to have bestowed on me and we have a truce most of the time my body and I. I still occasionally suffer from feeling fat and horrible, but it’s a very rare thing nowadays. I do feel more at peace with myself than when I constantly beat myself up about how fat I was, and I also no longer feel the need to use food as a reward or treat for when I feel down. It is incredibly liberating to live like this. Thanks for your comment and the link to the Fat Nutritionist, who states that “Fat doesn’t equal lazy or ugly or even, necessarily, unhealthy” and we are in complete agreement! I also agree that “learning to listen to your body” is no easy feat, especially when most of us are taught not to. Listening to your body is also referred to as ‘intuitive eating’ and there are some wonderful resources out there on how to teach yourself to eat intuitively, in particular Susie Orbach’s On Eating and Geneen Roth’s When Food is Love. On Eating does a particularly good job of addressing the concern of “giving in to every commercial induced craving”. The truth is when you have reached a point where you understand your body’s signals and respect them, you will find that you won’t be on a continual binge or sustain yourself on chocolate and chips. But as I’ve said, it is a process that takes time but it’s well worth the investment. There are some great messages here. Thank you for this article. I think it tends to get more complicated than just ditching dieting though. I really don’t know about WW or any of those other programs, but I assume most of them are restrictive, and by all means we should not be restricting ourselves of the necessary nutrients we need daily. But to say, “listen to your body” is hard because most people don’t know what that means. I know that American culture has a certain style of eating and attitude towards food, and it’s not great. It’s not balanced. I know that listening to your body will often translate into “give in to every commercial induced craving” and it’s ok because “your body told you to.” For this, I recommend reading http://www.fatnutritionist.com/. She has very health ideas on what it means to eat healthy without restricting but also without overindulging.